Experience the technological excellence of Asus, encompassed in the Asus Zenfone 2 Laser ZE550KL. The Zenfone range of Asus, is already been showered with love in the smartphone market. Launched in August 2015, Asus Zenfone 2 Laser ZE550KL has become a popular name amongst budget phone, that are smart enough to compete in the market. Get a sight, to it's glorying features that make it 'smarter'. World acclaimed Gorilla glass, doubles up the drop-damage resistance of Asus Zenfone 2 Laser ZE550KL. The phone dons a 5.5 inches of HD screen, comes with 720*1280 pixels of resolution. The bezel width of the phone is reduced, to create 72% of screen-to-body ratio. Moreover the Ergonomic arc design, with 3.9 mm slim body, adds class to the structure of the phone. Engineering is made artful, with the 64 bit Qualcomm S615 CPU. Go further and you'll be stunned with the powerful performance delivered by 1.2 GHz Quad-Core Processor. The platform of multitasking gets swift play, with the 2 GB of RAM imbibed in the phone. Apart from this, the favourable and futurist Android 5.0 is supported as the operating system. Network connectivity of 3G & 4G, adorns the phone's connectivity. Asus Zenfone 2 Laser ZE550KL is a dual SIM smartphone, where both the SIM supports the 3G/4G network connectivity. (Which depends on the carrier & location of the user). The phone is also loaded with the other connectivity features like WiFi, Bluetooth, GPS & multiple sensors. Phones won't have made their way into the inner layers of our life, if not have been loaded with the camera feature. 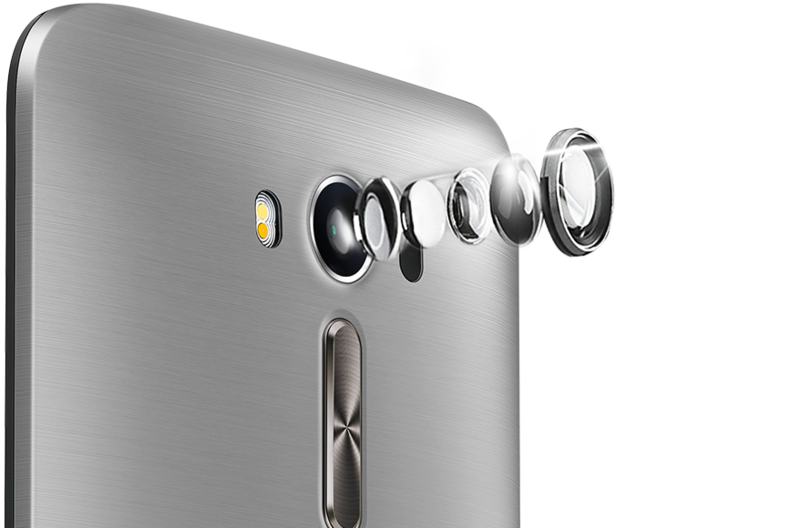 Asus Zenfone 2 Laser ZE550KL is a proud holder of 13 MPs of rear camera. The camera quality is boosted with the 5 element lenses, Auto focus and Dual colour flash. The secondary, or perhaps the 'Selfie' Camera (as they call it), comes with the resolution of 5 MPs. Fair enough, to click beautiful pictures of beautiful you! Click to the multimedia facet of Asus Zenfone 2 Laser ZE550KL, and get a thorough entertainment. The phone is housed with five-magnet speaker. This one constructs and delivers, powerful and touching sound to remember with a smile. Grove to the tunes of Radio FM, that comes tagged along the wide space for audios, videos and gaming! 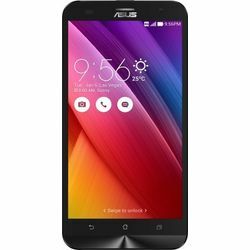 Asus Zenfone 2 Laser ZE550KL sports internal storage space of 16 GB. This is the space that can be furthermore expanded up to 128 GB, with the microSD card. Coming down to the battery life of the phone, it's made to liberate you from the constant charging. The phone is loaded with a wealthy Li-Polymer 3000 mAh of battery life. Go and experience the endless terrain of connectivity! Experience the technological excellence of Asus, encompassed in the Asus Zenfone 2 Laser ZE550KL. The Zenfone range of Asus, is already been showered with love in the smartphone market. Launched in August 2015, Asus Zenfone 2 Laser ZE550KL has become a popular name amongst budget phone, that are smart enough to compete in the market. Get a sight, to it's glorying features that make it 'smarter'.Design & Display World acclaimed Gorilla glass, doubles up the drop-damage resistance of Asus Zenfone 2 Laser ZE550KL. The phone dons a 5.5 inches of HD screen, comes with 720*1280 pixels of resolution. The bezel width of the phone is reduced, to create 72% of screen-to-body ratio. Moreover the Ergonomic arc design, with 3.9 mm slim body, adds class to the structure of the phone.Processor & OS Engineering is made artful, with the 64 bit Qualcomm S615 CPU. Go further and you'll be stunned with the powerful performance delivered by 1.2 GHz Quad-Core Processor. The platform of multitasking gets swift play, with the 2 GB of RAM imbibed in the phone. Apart from this, the favourable and futurist Android 5.0 is supported as the operating system.ConnectivityNetwork connectivity of 3G & 4G, adorns the phone's connectivity. Asus Zenfone 2 Laser ZE550KL is a dual SIM smartphone, where both the SIM supports the 3G/4G network connectivity. (Which depends on the carrier & location of the user). The phone is also loaded with the other connectivity features like WiFi, Bluetooth, GPS & multiple sensors.Camera Phones won't have made their way into the inner layers of our life, if not have been loaded with the camera feature. Asus Zenfone 2 Laser ZE550KL is a proud holder of 13 MPs of rear camera. The camera quality is boosted with the 5 element lenses, Auto focus and Dual colour flash. The secondary, or perhaps the 'Selfie' Camera (as they call it), comes with the resolution of 5 MPs. Fair enough, to click beautiful pictures of beautiful you!Multimedia Click to the multimedia facet of Asus Zenfone 2 Laser ZE550KL, and get a thorough entertainment. The phone is housed with five-magnet speaker. This one constructs and delivers, powerful and touching sound to remember with a smile. Grove to the tunes of Radio FM, that comes tagged along the wide space for audios, videos and gaming!Memory & BatteryAsus Zenfone 2 Laser ZE550KL sports internal storage space of 16 GB. 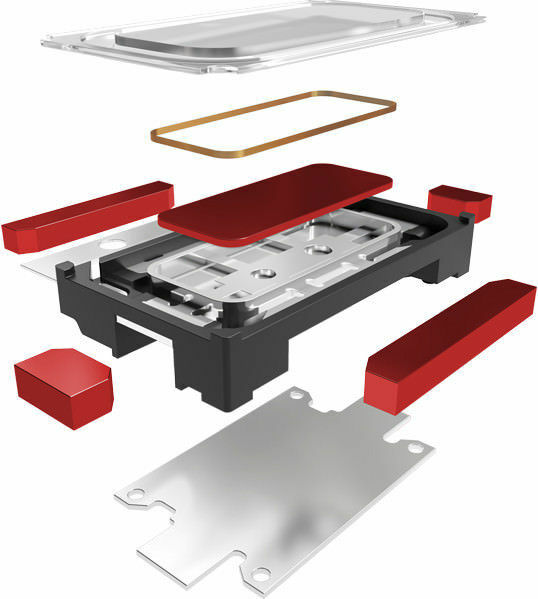 This is the space that can be furthermore expanded up to 128 GB, with the microSD card. Coming down to the battery life of the phone, it's made to liberate you from the constant charging. The phone is loaded with a wealthy Li-Polymer 3000 mAh of battery life. Go and experience the endless terrain of connectivity!